When organizers of the Concord, NH 250th Anniversary Celebration looked to create a commemorative coin, they could have chosen from any number of craftsmen across the state, country, or even beyond or our borders. Instead, they chose Hampshire Pewter. As a New Hampshire business specializing in custom commemorative souvenirs, it is not only fitting that we were chosen, but is indeed, an honor. The commissioned project involved working with organizers from the Concord Historical Society and members of a NH coin collectors association for their expertise in what makes a piece attractive to coin collectors. Our design incorporates the elegant Concord, 250th Anniversary logo one one side of the coin and the historically significant image of the Concord Coach appearing on the flip side of the coin. As told by the Concord, NH Historical Society, the first Concord stagecoach was built in 1827 by the Abbot-Downing Company in Concord, NH. Known for their unique, cushy suspension and quality, the coaches became popular with hotels for guest transport to and from train stations. The Abbot-Downing Company went on to manufacture over forty different types of carriages and wagons at the factory in Concord, New Hampshire until 1915 when Wells Fargo, their biggest customer, purchased the name. 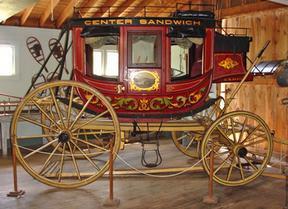 That's right, the Concord Coach is THE stagecoach from their logo, which has become the enduring symbol of Wells Fargo. 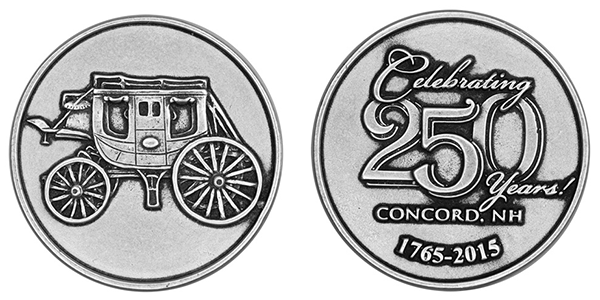 These Concord 250th Anniversary commemorative coins, produced by Hampshire Pewter, capture the rich history and quality craftsmanship of the Concord Coach. The coins bear intrinsic appeal for coin collectors, as well as collectors and curators of Concord and New Hampshire memorabilia. These beautiful coins, custom created by Hampshire Pewter to commemorate Concord’s 250th anniversary are now available for purchase, in fine pewter ($15) or a gold-plated finish ($25). Coins can be purchased at the Greater Concord Chamber of Commerce Visitors Center, located at 49 South Main Street in Concord or via the Concord Historical Society webstore. To learn more about the history of the Concord Coach, visit the Abbot-Downing Historical Society. To learn more about Concord's year-long 250th celebration, or to shop for more memorabilia, visit Concord250.org. 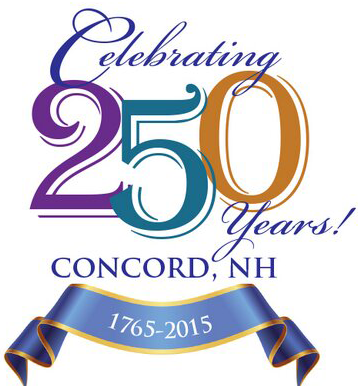 To join the celebration, follow the Concord250 page on Facebook and on Twitter @ConcordNH250 for history, news and upcoming fall and winter events. In addition, the Concord Monitor is covering all related happenings under the topic title, "Concord250 Watch." To the people of Concord and event organizers, thank you for choosing Hampshire Pewter - we are honored to be a part of your history! Join us in congratulating Concord, NH on Celebrating 250 Years! Visit our website for more information on our Custom Works and Contact Us to start collaborating on your milestone event or custom souvenir!